So I picked this up in the last Steam sale, and I'm loving it. I ended up restarting a few times as I figured things out, so I'm not very far in. Is it better to keep a repair tool and build tool on me all the time, or should I just drop off a set at each base I build? Right now I'm planning to do the latter, as I set off on the first longish trip from my base (along with components for a fabricator at the new location). But the Seaglide is currently still my only vehicle choice, so inventory space is a premium. I kept a build tool on me almost the entire game but I also built a lot of small T-shaped bases all over the map. The repair tool is safe to store, take it when exploring the big ship. You should keep it on you at all times. Sometimes you need it when salvaging a wreck, sometimes you need it to fix your vehicle, sometimes a shark bumps into your habitat and the whole things starts to leak. The only tool you don't need all the time is the laser cutter if you're not exploring human wreckage. I nearly always have a repair tool with me. 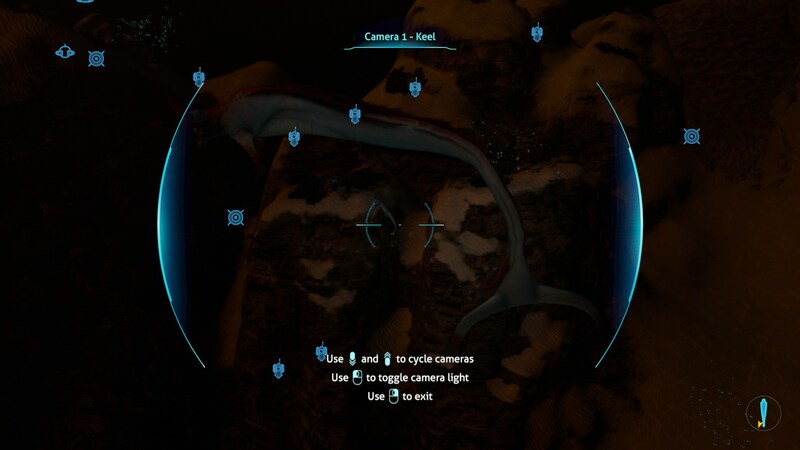 Most big beasties have an attack pattern - if you're out in your seamoth and get attacked by one they can do quite a chunk of damage, but you're usually safe to quickly exit, repair some damage to the vehicle then get back in to try and avoid the next attack. If you're still on the seaglide you are probably safe to store it as mrwynd says, but my advice would be to keep it handy once you upgrade. I started this up a bit over a week ago and I've been having a fantastic time. The progression, especially from the start up to getting the Seamoth, is just great. I puttered around in that thing for quite awhile, and just took the large step up to the Cyclops! Seeing that thing build and plunge into the water was great, as was my first time boarding it. and just kept on trucking. 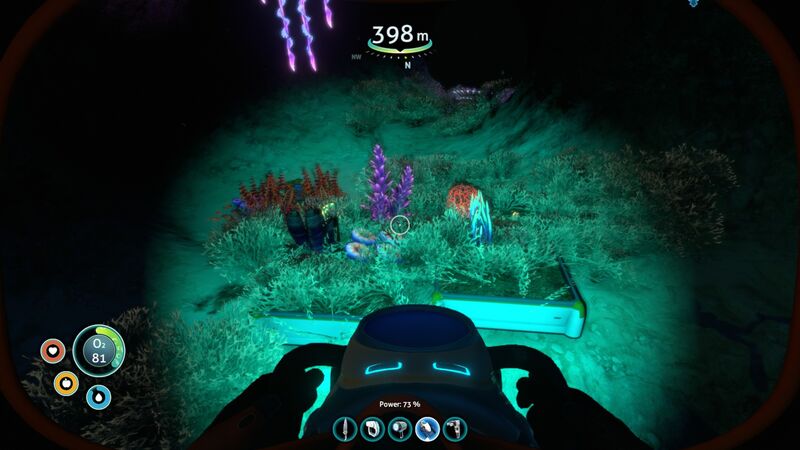 Originally my plan was to turn back there, I hadn't built a Prawn yet, so I thought "ok I'll go to that place, use that as a forward base while my Seamoth putters around a little deeper (I had it upgraded to the full 900m already) then come back". Instead I found the blueprint for the Cyclops Pressure Module, built it, and haven't yet looked back. the (a?) entrance to the Lost River right next to the lifepod and went down past there. I'm currently parked right outside the destroyed alien lab, which I've mostly but not completely explored. I really should go back, but I think I'm going to try to go just a tad farther. So now I'm sitting at 870 meters, my Cyclops can't go any farther, but I do now have the materials to improve my depth module. My plan is to take out the depth module, sprint around the engine to the fabricator, upgrade it, and then sprint back and reinstall before we're crushed like a soda can. I don't know if it's going to work. Even if it does though I'll still be pretty constrained. 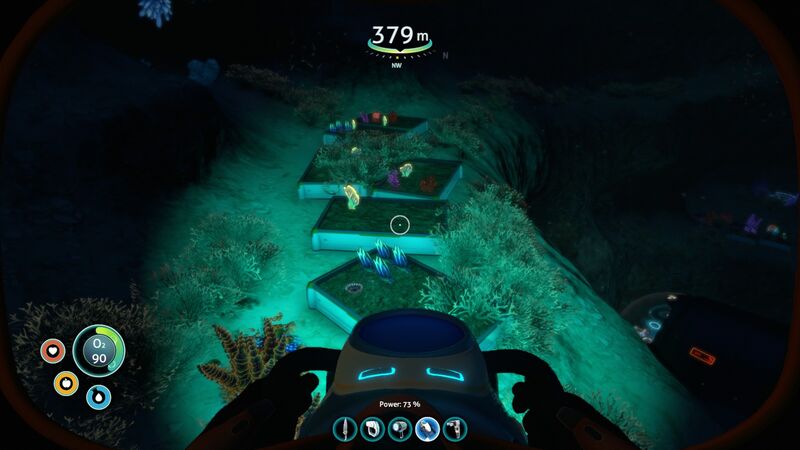 My Seamoth DEFINITELY can't leave again, and the entrance to the next section is hot enough that I haven't been able to go through "on foot". Maybe I'll find somewhere cooler again, or maybe I'll be trapped in the Cyclops. Maybe I'll at least be able to park close enough to something interesting that I can hop out, grab/scan it, and return before being roasted. Obviously though, even if everything goes exactly right this is about as far as I can go. It's almost time to return with the spoils. I didn't actually intend to be out this long, so I didn't pack 100% appropriately. I brought what I thought were basic essentials: Indoor Growbed with Melons, a fabricator, some food and water, an aquarium in case I wanted to bring back interesting fish, and then three Power Cells and Batteries for recharging. Luckily I got enough Titanium at the wreck I passed that I've been able to build a lot more Lockers on the way, it's almost the only place I've found Titanium, didn't realize that it may actually be in short supply. What I didn't bring was any copper, or fiber meshes. This means that I've been unable to build beacons (and I forgot to bring some, whoops) luckily with the Cyclops I've been able to mostly empty out areas of interest I pass rather than marking them for return, and I've got a notepad for additional info. Luckily just recently I started running into Limestone Chunks again, it's surprising how happy that made me! In addition to beacons I can now make a little base with a Power Cell charger and a Scanner Room at a little hot spot I found. The other thing I didn't bring was Fiber Mesh, which is really turning into a pain. (I haven't ended up needing Synthetic Rubber or Lubricant, but in the future I'll bring a couple of those along as well just in case.) Before I left base I didn't have the other materials to build a Reinforced Dive Suit, and now that I have the advanced stuff I'm really far away from the easier raw materials I also need. I also didn't build a Medical Kit Fabricator before I set out, and I need a Fiber Mesh for that as well. I figured 10 health packs would be plenty, and now I'm down to 2. All-in-all this has still been a really successful expedition though. I'll be bringing tons of goodies back, and then I'll return with a Prawn and some other new toys. Nice write up Yonder. I love how this game has a story that just lets you get on with making your own stories within the story. The thing I was always running out of was Silver for the wiring kits. Does anyone know if this game will ever get a content update or DLC? Cause I've poked around a bit and it sounds like the developers consider it feature complete and won't be doing anything to extend the story. Having finished the story once already there doesn't seem to be much point in keeping it installed. What would definitely bring me back is multiplayer but the devs are vehemently against adding that. Just after launch the community was quite active in suggesting new features like more forms of glass windows for bases and a moonpool/dock for the Cyclops. But that seems to have died down and the devs haven't done anything since april. Yeah, they're working on a standalone expansion to be released sometime next year. New biome (Arctic), new protagonist, and is supposed to be set after the main character finishes the original game. Note that if you've got the plans for the upgrade, I believe you can now access the Seamoth's modules on the wall next to it. (It's sort of a last-second hack to work around a design problem, that you can't reach the module slot when it's docked in the Cyclops.) I think you can probably extract it there, upgrade it, and put it back in again, without it being destroyed. Still gotta have the plans and materials, though. I think your 'sprint' idea, btw, is probably going to get you killed. I've never actually tried it, but I'm strongly suspicious that you won't make it in time. If you move the upgrade station to be as close as possible, you might improve your odds. But you'd be safest going above 500m before doing the upgrade. Ah ok, that's quite a ways off so I guess I'll just uninstall for now. 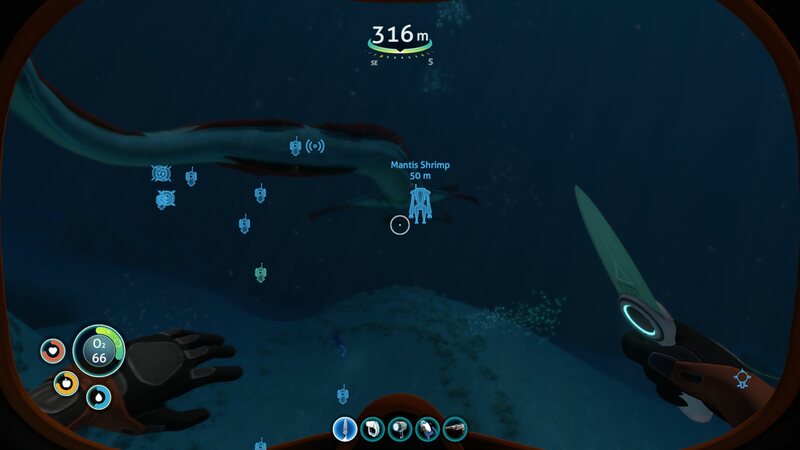 My Seamoth was trapped because the max Seamoth upgrade depth is 900 m, and I was already past that. The hot swap was actually successful! I was surprised it didn't kill me as well. The depth damage, whether constant or modified based on depth, was actually really slow in my case. I had moved my modification station right next to the upgrade panel and by the time I got the panel plugged back in only a couple percent of damage had been done, will below the amount of damage that actually results in a permanent wound that must be repaired. A couple minutes after the swap and the hull was back up to full strength! In the meantime I have basically finished the story and will be posting soon about my post-game shenanigans. I'm skipping through to the end game, so I think I'll spoiler everything from now on. I'll reference both major plot elements as well as talking a lot about environment and animal stuff that could be considered spoilers for such an exploration-heavy game. If you told me right after the crash that I would be so hesitant to leave this planet I’d have thought you were crazy, driven mad by the trauma of the evacuation, and would have consulted my PDA on possible treatments. I’ve learned a lot since then though, more than I or any other human would have been thought possible. And yet here I am, cured of the infection that nearly killed me along with the rest of this planet, buoyed with the good spirits of a healthy man who has not yet forgotten what it meant to be ill, holding the means to shut down the weapon that doomed me and more than a hundred other souls, and quite probably every raw material necessary to build a Neptune Escape Rocket nestled below me in the cargo bay of the Sea Dragon (a name I chose for my Cyclops prior to the discovery that I was sharing the world with actual Sea Dragons). However, having attained all that I still can’t bring myself to return to my home. My reluctance runs along two lines: fear for this planet and fear for my people. The first is the more ironic, this planet has tried to kill me countless times since my arrival, some of them failing by only the barest margin. However, this planet has saved my life at least as many times, not only through the sustenance of its amazing and unique life, but also with it’s frankly incredible material resources. 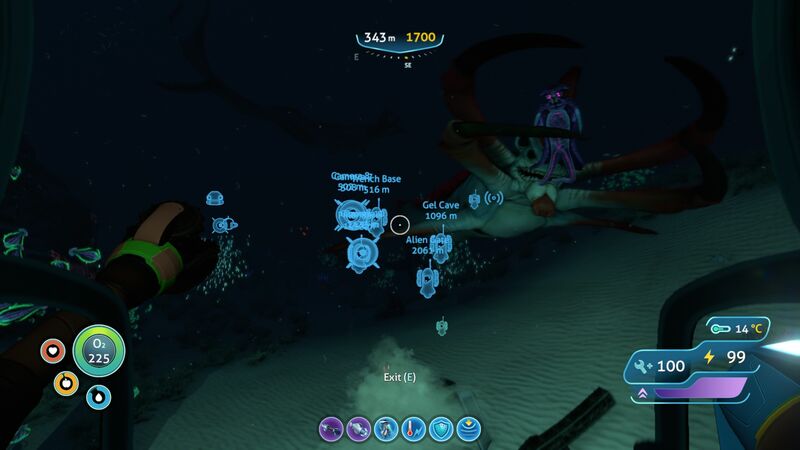 I constructed an entire Cyclops submarine out of ore that I picked up off the ground with my bare hands in the area of a few square kilometers. I’m not entirely up to date on the academic literature on solar system formation models, but I don’t think that a planet this rich in valuable metals is actually theoretically possible, so Alterran scientists would be interested in this place even if it wasn’t going to increase the company’s GDP by more than most Trans-Govs’ output. And that brings me to my fear for the planet, the total extinction of the ecology here was only barely averted by the Enzyme 42 production of a single specimen, the ecosystem is incredibly fragile. The worst part is that I don’t know exactly how fragile it is. My PDA has picked up measurements that give a very rough idea of the state of the ecosystem a thousand years ago, and I have made broad observations on its status today. However I know almost nothing about the trajectory to get from then to now. Did a mass die-off settle out over 100 years to the status quo that has remained relatively unchanged for the last 900 years? Or has there been a constant decline with the Aurora happening to arrive only decades before the ecology’s complete collapse? Even if the current ecology has been stable, will it remain so is the increase of Enzyme 42 in the ecosystem leads to a decline or complete end of the infection? It is certain that the infection had applied different levels of pressure to different species, especially since the primary treatment to the infection seems to have been transmitted by close proximity to Peepers. With that pressure removed what will the result on the ecosystem be? However my far greater fear is for the rest of humanity. If Alterra comes here it won’t be to quarantine the planet, at least indefinitely. Eventually it will be exporting billions of tons of refined metals and manufactured goods. It seems entirely possible that such an event will lead to the Kharaa bacteria infecting an inhabited world. While I am reasonably confident that the Enzyme 42 output of the five Juvenile Emperors will be able to treat and grow a much larger ecosystem than the remnant supported by their aged mother, it seems very unlikely that it would be enough to treat a world of billions. And after the failure of the Precursors it seems like folly to assume that humanity will be able to manufacture the enzyme in industrial quantities on any reasonable timescale, even granting that our initial samples will be far superior to theirs. Despite my fears--or perhaps because of them--I must return to Alterra. Even if humanity never comes to this place again apparently expansion in this direction will still lead them to worlds harboring traces of the Kharaa Bacterium, worlds that don’t have this place’s possible cure. And this planet needs Alterra as well, Alterra can bring far more expertise to the restoration of this planet than I can alone, and with the need to have an Enzyme 42 producing ecosystem in good health to protect their investment they will be well-motivated to do it. What I need to do is make a more rigorous catalogue of the current life and their activities. When Alterra returns the changes from that baseline will be vital in tracking how well the ecology is healing. In the meantime I can hopefully provide assistance to any especially threatened habitats or organisms identified in my observations. Great stuff Yonder, just goes to show how thought provoking the game is. They absolutely nailed it. I've never been so reluctant to finish a game before. Usually by the time I get to the end of a game I'm already looking forward to the next one, but with Subnautica I knew there was going to be an empty hole. The last time I had that was with Witcher 3. It's a rare feeling indeed. And it seems Alterra will indeed be going back to the planet in their arctic expandalone next year, but whether it will touch on any of the possibilities mentioned in your post remains to be seen. My first knowledge gap is the Reaper Leviathan. Unlike the Ghost and Sea Dragon Leviathans I have no idea where they lay their eggs, probably because I have avoided interaction with them--mostly. Given their important place in the food chain, however, that is no longer an indulgence that I can afford. Especially since taking my Cyclops into close quarters with both juvenile Ghost Leviathans (which are similarly sized to Reapers) and Sea Dragons (which are much, much larger). With six full Ion Cells and a shield generator I thought that my journey would be of minimal risk. I headed east, directly into the Crash Zone behind the Aurora, into the territory of the Reaper that I had killed. It’s an action that I think I regret now, but I can’t judge myself overly harshly. The Reaper was close enough to my main base to pick it up on my sensors even with only one range increase module, my base directly above the Degasi base which had been destroyed by a Reaper Leviathan. Also... the warnings about the Prawn’s power going to your head are certainly warranted. Add in a possible touch of Kharaa bacterium aggression and I was heading off to hunt a Leviathan within ten minutes of creating the Prawn suit. I’d also ask you to keep in mind that at this time this planet still loomed in my mind largely as a hostile entity trying to kill me. In fact, the moment I stood over a dying Reaper marks the moment that this world transitioned from a hostile prison to a place far more welcoming. The territory was one of the less desirable ones, although it’s proximity to a Kelp Zone and Grassy Plateau, each with reasonable amounts of life, seems to make that unlikely. There is enough food and territory to go around that there is no reason to push into recently vacated territory. I would have thought that this was exceedingly unlikely until I discovered that Reapers are in turn preyed upon by Sea Dragons. It’s possible that that pressure has reduced the Reaper population below what the current ecosystem could support. Additionally there is no telling how many Reapers the Aurora killed in the crash landing and subsequent explosion. Are they congregated around it because it smashed through their territory (and possible hatching ground) or as a result of being attracted by the noise and disruption of the crash? The other Reapers are not yet certain that the first is gone, and it hasn’t been missing long enough for them to be certain it won’t return to defend its territory. No way to know how likely this is. The other Reapers know that the first is dead, that fight or death was either detected audibly, or through chemical signatures, and that is warning the other Reapers that the territory is dangerous. Given that this species is hunted by a significantly more powerful one, and that they seemed to respond with hostility to the death of the Reaper killed by Degasi, that possibility seems plausible as well. I quietly moved through the crash zone, switching to Silent Running as necessary to avoid using the even more energy intensive shield, which was necessary a couple times. (And once or twice I wasn’t fast enough to toggle the shield, leaving rents in my hull that needed to be repaired after I left the territory of the angered Reaper. I moved along to the edge of the caldera, which was a far, far steeper drop-off than I anticipated. In attempting to investigate the drop-off I found that the void beyond the caldera is heavily--extremely heavily--patrolled by Ghost Leviathans. They rebuffed all attempts at exploring into the region, not only to the East of the Caldera, but in every other direction I attempted exploration as I circled the Caldera. While my later attempts were more cautious it is entirely likely that the Leviathans would have destroyed the Cyclops had I not had the shield generator installed. The situation paints a dim picture for the Reapers: living above a small population of Sea Dragons that certainly hunts them for food, and also hemmed in by a larger population of Ghost Leviathans that certainly seem to hunt Reaper-sized objects as well, although it’s possible that they aren’t the primary prey. This explains why the Reapers live within the Caldera, rather than only approaching to hunt, the deeper water is even more dangerous for them. This scenario has two unanswered questions. The first is whether the Ghost Leviathans have some additional resistance to the bacterium. Is this what has allowed them to spend the bulk of their time so far away from the Caldera? Or have the trace amounts of Enzyme 42 available at that location still been effective? It seems unlikely, because if Enzyme 42 was that effective at those distances it would seem like we wouldn’t have seen such a severe die-off over the last thousand years. Perhaps the bulk of the die-off began before the Peeper-Enzyme 42 pipeline was fully established, or those trace levels of Enzyme 42 are only effective now, after a thousand years of evolution has lead to specimens already resistant to the bacterium? 1000 years does not seem to be very many generations for a species like the Ghost Leviathan, it seems like most of their eggs haven’t hatched for at least a couple hundred… A last alternative is that prior to the Aurora crash the Ghost Leviathans indeed lived in the Caldera, and the bulk of them have been driven away only temporarily by the disturbance. Perhaps the regions currently avoided by the Reapers: such as the Bulb zone or Sea Treader Path, were until recently Ghost Leviathan hunting grounds. Although those could also be areas the Sea Dragons frequent. The second question has to do with the Sea Dragons themselves. If the Reaper population collapses, what will they be able to eat instead? It’s strange that they seem to pass Juvenile Ghost Leviathans on their journey to hunt Reapers. Can they not eat Ghost Leviathans at all, or are they just not preferred? Or maybe they are simply harder to catch, either from being more dangerous or simply better at avoiding the dragons. What about Sea Treaders or Reefback Leviathans? I finished up a few days ago. Ended up reloading my last save and I'm toying around with recreating the different environments in containment. I might try building some really deep bases. [quote="kergguz"]Great stuff Yonder, just goes to show how thought provoking the game is. They absolutely nailed it. I've never been so reluctant to finish a game before. Usually by the time I get to the end of a game I'm already looking forward to the next one, but with Subnautica I knew there was going to be an empty hole. The last time I had that was with Witcher 3. It's a rare feeling indeed.. This comment has made me buy it today, roll on the weekend! Just to be clear though, they are not similar games at all, they just both have an amazing sense of place and world building. Lots of great stories in this thread, just wanted to say I’ve really enjoyed reading them. Kind of disappointed that the expansion is going to be stand alone, guess there is no reason to keep the game installed any more. Oh well, still got the XBox version to play through whenever they finish it. That's good enough for my £20! As I circled the crater and reached the Dunes I turned inwards. This region was heavily patrolled by Reapers, and was a decent candidate for finding their eggs. As I searched the region I found--as expected--many adult Reapers, but no juveniles or eggs. I wonder if the eggs could be buried, but don’t see signs of that either, of course in the Dunes such activity may only be noticeable for a few days before all traces are erased. I do, however, find something just as precious, a Cuddlefish egg. I have seen no sign of adult specimens of this species, it is entirely likely that they are extinct. I have found two eggs in my travels, however those have been in a Degasi base and a Precursor research lab, so I’ve had no indication of what habitat the Cuddlefish are at home in, until now. It is nestled in the warmth of a steam vent in a large depression in the Dunes. It is immediately surrounded by Violet Beau and a Rouge Cradle, but the surrounding area has a variety of other plant life: Redwort, Acid Mushroom, Writhing Weed, Brain Coral, Furled Papyrus, and Regress Shell. Most amazingly there are also a couple of Sea Crowns, a species which I thought remained only within the PCF Aquarium. I took clippings of the plants, and retrieved the egg. I would be able to move it and its two companions into a more appropriate environment. I then began constructing plant beds along the shelving within and immediately outside the crater. This would be an excellent location to begin my work of buttressing more vulnerable biomes. Of course as I got to the edge of the sinkhole I attracted some unwanted attention. Bring that back! I AM TRYING. TO RESTORE. YOUR HABITAT! The Warper agrees. It is a thankless task. 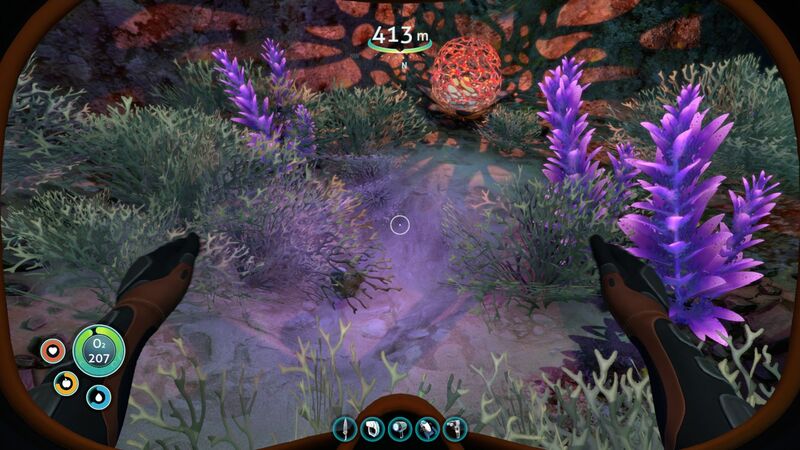 "Unknown Worlds is building a stand-alone expansion to Subnautica, called Subnautica Below Zero. Set in an ice-bound region of planet 4546B, after the events of the original game, Below Zero will offer a new chapter in the Subnautica universe. We would like to show you some of Below Zero's concepts, and share our plans for release. The concept of Below Zero is still developing. We are keeping the core gameplay mechanics, such as base building and open-ended exploration. We are also exploring new ones, such as thermal management, and more voiced dialogue at the core of the plot. We're still in early stages and nothing is set in ice. These features may change prior to, and during, Early Access." Can't wait, but I doubt I'll play until it's in full release. And wow I'm hooked, just loving exploring and slowly building a base. It's the most atmospheric game I've played for years! Yup. I loved Subnautica and a big part of that was all the story and motivation they added for the full release. Really happy this is a stand-alone too; that means it can qualify for its own spot on my GOTY list when I play it. I just finished up Subnautica. Incredible game. I really enjoyed it. Learning how to survive is a lot of fun. Crafting your own base is fun. Managing the Cyclopes was fun too. Figuring out how to get to lower depth and adapting to the new challenges was fun. I loved the story and the element of mystery to it. It was simple but effective. It gave you room to have your own story but had a great beginning middle and end. I felt like was uncovering a mystery. Exploring and discovery was so much fun. I remember my first moment seeing the leviathan and running into other spoiler things. You thought the aliens were communicated to you and hunting you down but it was leviathans communicating to you. The queen trying to get you to help was great. I look forward to the next one! I learned the basic mechanisms so that should give me a head start but give me new challenges to work with. I think this is the best open world survival crafting games ever made! Subnautica is definitely going to get my GOTY vote, this time around., Well, okay, I suppose something else could sneak in and blow it away, but I think that's pretty darn unlikely. I might have voted for it last year, too, but since I played all the way through multiple iterations of the game as it developed new content, I'm quite okay with that. I don't usually get grabbed that hard by games anymore, but it had me thoroughly absorbed. Such a good experience. I just wish some of the terrain deformation tools had made it into the final version, I really liked the in-dev ability to dig pits and caves and things. Sadly, it killed framerates and caused massive explosions in save sizes, so they ended up pulling it. Damn shame, it was a fun feature. I made a stalker tooth farm by growing a few in a tank, and then dropping them into a sealed cave with some scrap at the bottom. They couldn't escape, and didn't need to eat, so all they did was generate teeth by constantly picking up scrap pieces and swimming around. Terribly unrealistic, but it was sure nice for making enameled glass. For those of you who played this in VR- what graphics card did you have and how did it run?